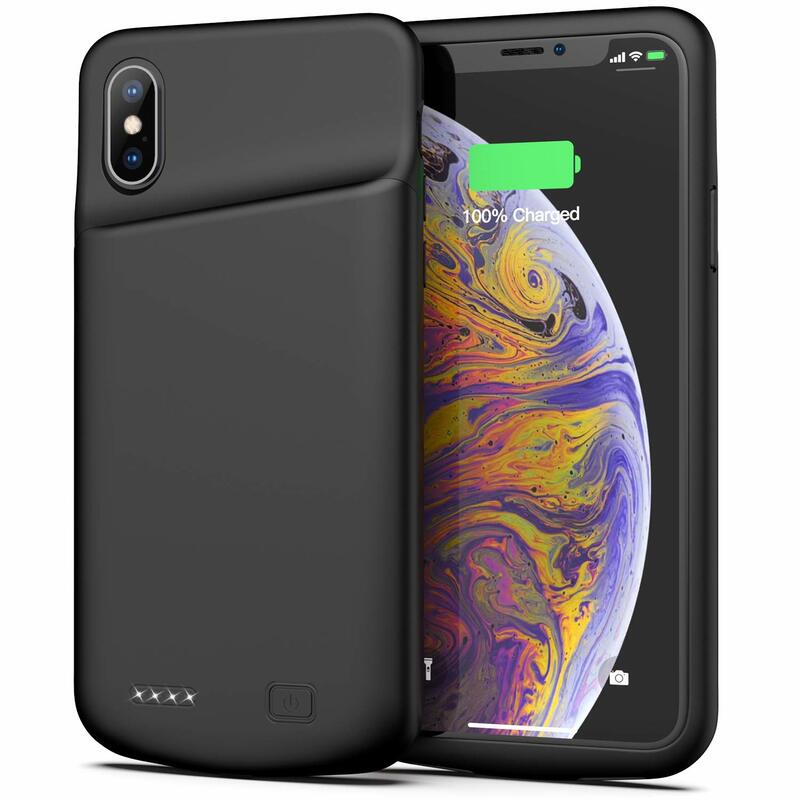 【Add 100% More Battery Life 】The powerful 4000mAh iPhone X battery case provides additional 100% power to your iPhone X / XS. 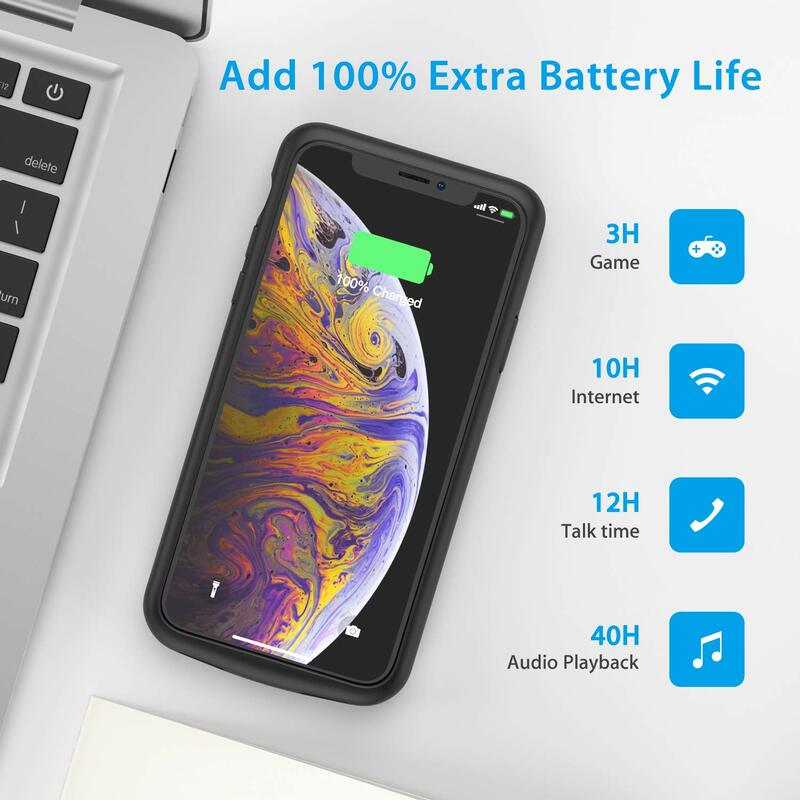 Means get extra 12 hours Talk time or 10 hours Internet use. Equipped with power level indicator LED lights. 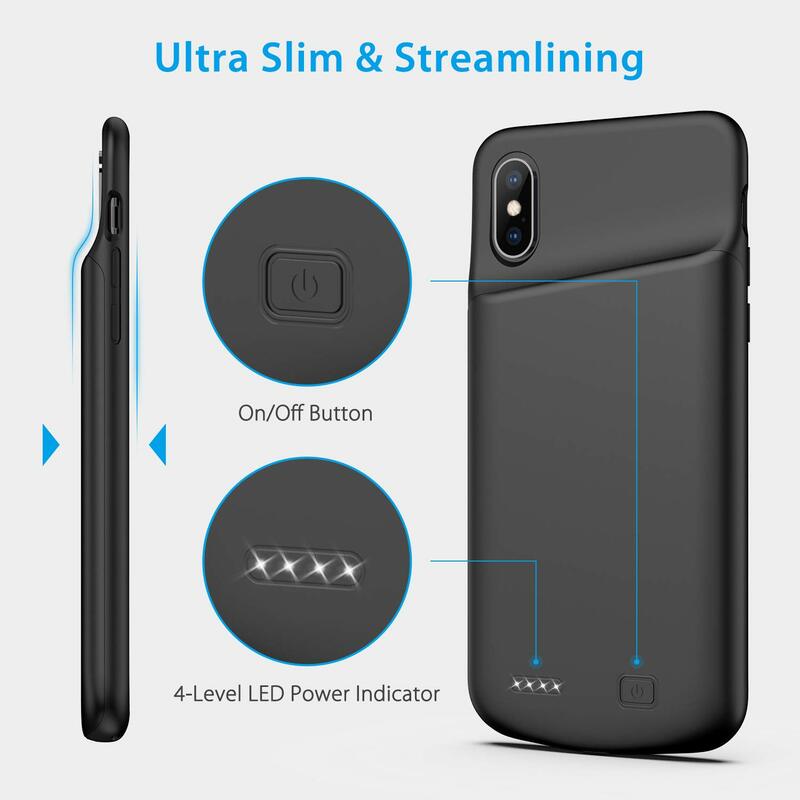 Just need press the button 3 seconds can start or stop charging. 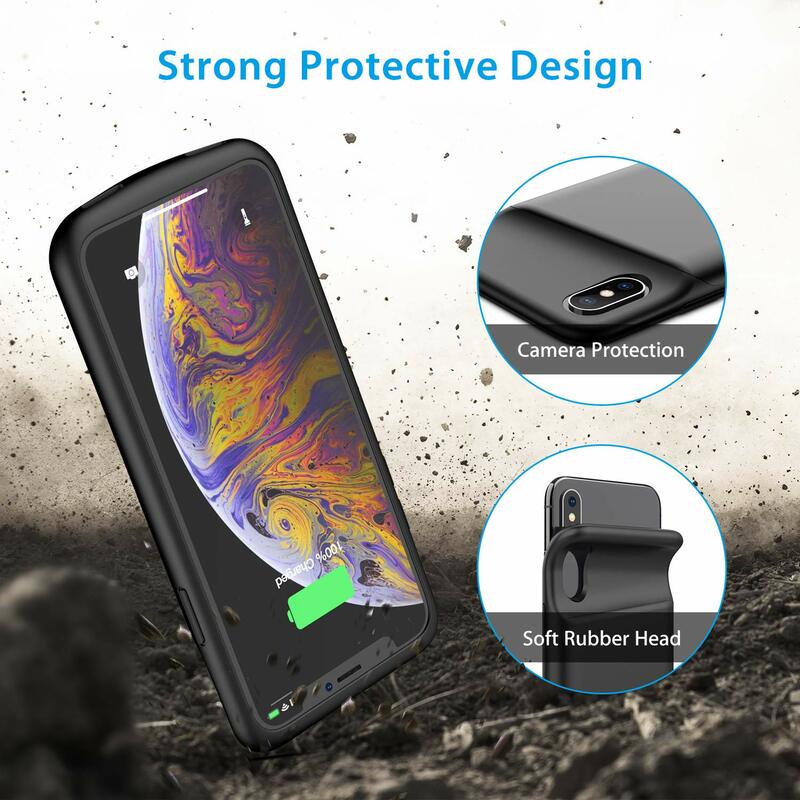 【360° Protect Your iPhone】Made with high quality elastic soft material and hard-shell back plate, iPhone XS charger case protect your iPhone from scratches and daily wear and tear. 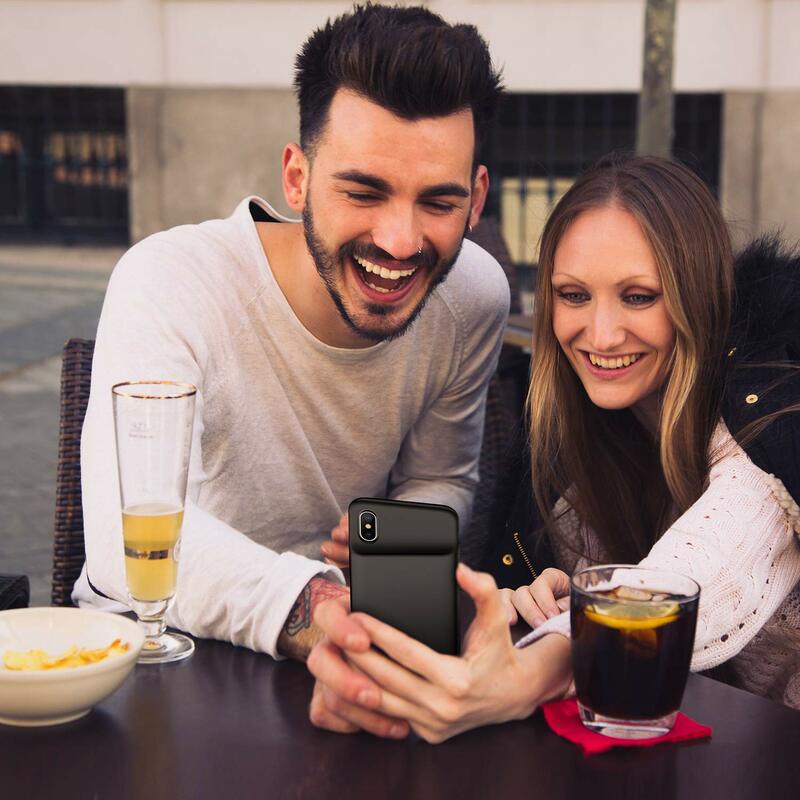 Front bumper raised helps you protect the screen well. 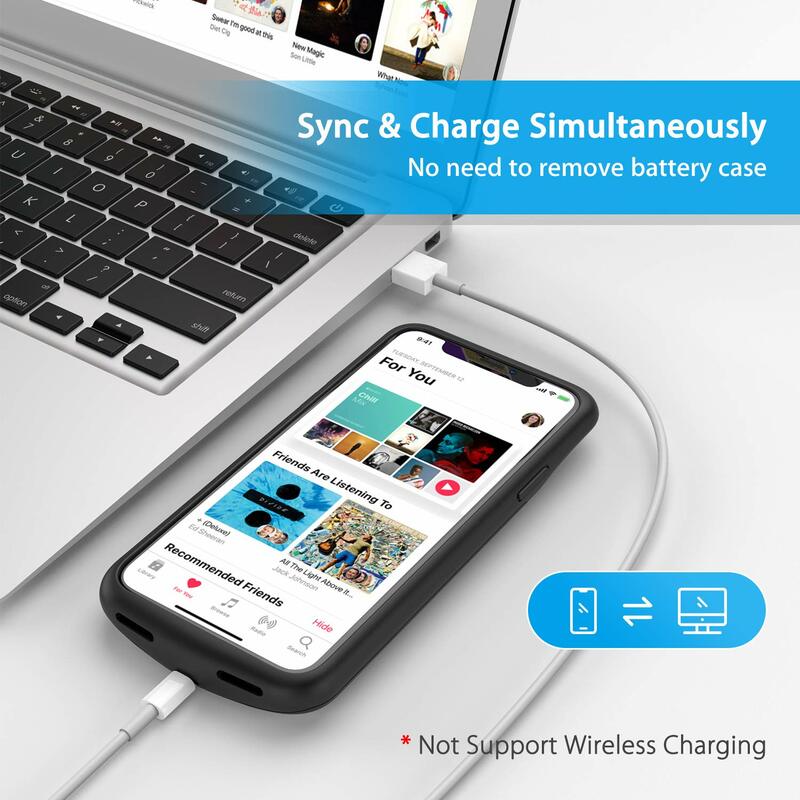 【Charging & Listening】Featuring Sync-through technology that you can sync your iPhone to a computer without taking off the battery case. 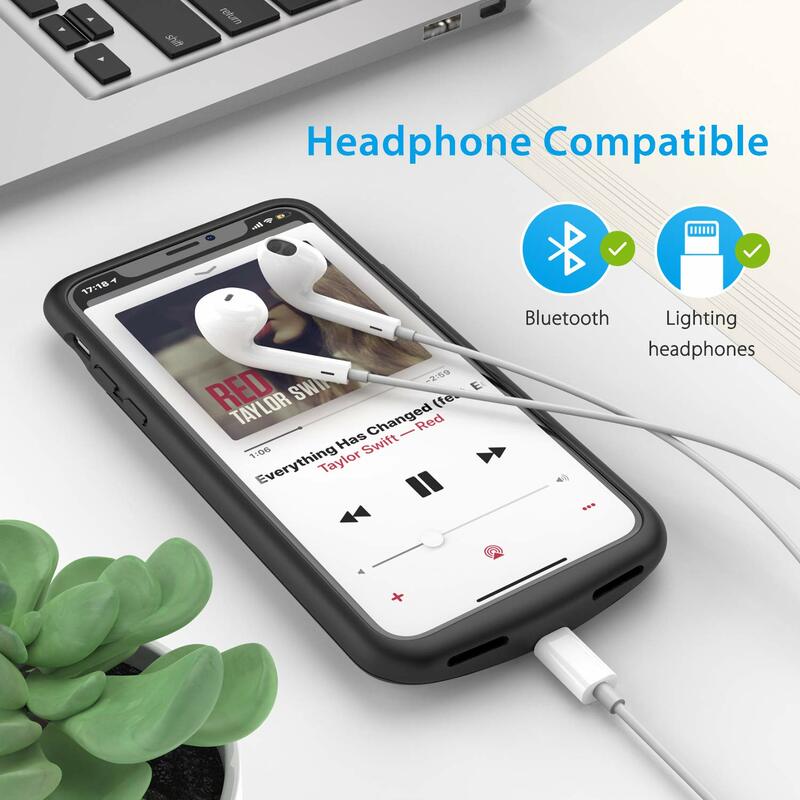 Compatible with iPhone original headphone and Apple AirPods or any other wireless Bluetooth headphone accessories.